I didn’t travel anywhere this month, but I still managed to have plenty of adventures! The highlights of the month were definitely the cover reveal for my next book, Steel Time, and buying the very first new car for either of us with my husband, a Tesla Model 3! Other fun things included some home improvement (installing a storage room under the stairs in our house), an epic ropes course through the treetops with my best friend at Adventure Park, and escaping a Nicola Tesla-themed escape room with my husband and friends with 45 seconds to spare. Oh, and I got some work and reading done, too. Book 5, Steel Shadows, has been submitted to my editor! WOOT! To celebrate, I will be building the Star Wars Y-Wing Starfighter LEGO set this weekend while I binge the most recent Marvel movies to prepare for a panel I’m on at a convention next month. Prepping for the launch of Steel Time put my book 6 plans on hold, but I’m looking forward to buckling down on an outline in the next few days (technically, I’m writing this post on Wednesday, even though it’s going up on the blog on Friday). Well, to start, build a LEGO set while I watch Thor Ragnorok, Black Panther, and Avengers Infinity War to prep for that panel. I have such a hard life. Create a detailed scene-by-scene outline of the as-yet-untitled book 6 and write 5 to 10 thousand words of the first draft. Prep for a short and sweet blog tour to promote Steel Time. It comes out on September 6! Have you pre-ordered your copy yet? Attend FanX Salt Lake Comic Convention 2018! I can’t wait to return to this awesome convention and meet up with friends. This is the convention my husband attends with me (happy 6th anniversary to us!). I’ll be giving my presentation on the alternate history genre, participating in a few cool panels (including one on the Marvel Cinematic Universe, hence the film rewatch), and getting my picture taken with David Tennant! Later in the month, I’ll also be participating in a more local convention, Capclave 2018 outside of Washington DC. Plans are afoot for a Steel Time launch party, and I’ll be sure to share the info here. So much to do, so little time! I could use my very own time machine right about now. This whole linear time thing is for the birds. I feel like it was just yesterday that I sat down to write last month’s version of this post. That usually means that I got a lot of work done during the month, or absolutely nothing at all. Let’s see how it all fell out. Either way, I now have a giant TARDIS of my very own. I completed my enormous editing job! The book was amazing, and I can’t wait to share it with the world when my friend releases her debut novel. I only managed a bit of work on revisions to Steel Shadows, but my production schedule has shifted this year, so I’m not stressed too much about that. I did complete my initial research for the as-yet-untitled book 6 and did some preliminary brainstorming. I’m excited to sink my teeth into that project once Steel Shadows is off to my editor. The annual pilgrimage to Hogwarts In Your Write Mind’s annual writer’s conference was an absolute blast. You can find the full story of the giant TARDIS in my con report. Reading advance copies of novels by authors I adore is the best part of my job, and I’m excited to share Sally Malcolm’s Perfect Day with you soon! Complete revisions to Steel Shadows and send it off to my editor! Complete first draft of book 6 and get it reviewed by other writers/editors. This one is going to get complicated, I think, so I’d rather have my outline solid BEFORE I start writing. At the end of this month, I’ll be in Pittsburgh for Confluence 2018 (July 27-29)! Even though I’ve held gorgeous copies of Steel Time in my hands, the book isn’t officially out yet. Time to start working on a book launch party for September and additional online promo. There’s got to be something I’m missing. Luckily, you’re reading this blog post in the present, but I’m writing it in the past, so if I remember something, I’ll just rewind the clock and add it in. I’m going to need more coffee if I’m going to start courting paradox. It’s been done before, so I’ll skip the trite comments about “OMG how is June here already?? !” Instead, let’s get to the good stuff. After you admire the absolutely adorable dragonling that I bought at Balticon last weekend. Fable has been tasked with protecting my TARDIS die, and if you think he’s amazing, check out Emizart for your own! Okay, enough squeeing (is there such a thing?). Let’s get to work. I had a lovely first visit to Cupboard Maker Books in Enola, Pennsylvania, for their Women Writing Mysterious Worlds booksigning event. I was joined by mystery writers Nancy A. Hughes and Yvonne Schuchart, who you should definitely check out! I closed out the month with my return to Balticon, where I participated on multiple panels and gave my alternate history presentation again! Check out my con report for all the details. I’m a bit behind on doing some research for the as-yet untitled book 6 of the Steel Empires series, but I did order the books I needed! They’re sitting behind me on my to-be read shelf…watching me…staring at me…. I did, however, get the final edits for Steel Time (book 4) back to my editor! I’ve also seen the cover, and it’s GORGEOUS. Brad Sharp is my hero. I’ve also gotten a start on the revisions that Steel Shadows (book 5) desperately needs. My beta readers are amazing. You can’t have them. They’re mine. Beta read and critiques of my own were completed this month! I’m so lucky to have such talented writers I can look up to that I can also call friends. And finally, I’m set to begin copy-editing a book I’ve been dying to read for literally years! I worked out a contract and got the text, so that’ll be my top goal for June. The top priority this month is my big editing job. I can’t wait to get to work on it! Next, I’ll be tackling the major revisions my beta readers have identified for Steel Shadows. Everything is completely doable, and I only have a few scenes that need major rewrites, so I’m looking forward to returning to that story. I’m also looking forward to doing some major brainstorming for book 6! The research books that are staring at me will get cracked open. I might have a working outline for book 6 by the end of the month, but I’m not going to kill myself to get there. Because I also have a trip to look forward to! The annual pilgrimage to Hogwarts Seton Hill University takes place later this month, where I’ll be participating in the In Your Write Mind writers retreat. In between all that, I’ve had the pleasure of receiving two advance reader copies of novels I’m looking forward to reading and reviewing. Time to make some coffee, snuggle some kitties, and get to work! It’s been another whirlwind month at Casa Siamese, filled with lots of reading, blogging, editing, and other such shenanigans. I’ve been doing a lot of working out, and I’m counting down the days until the weather finally gets warm enough for me to walk outside. (Yes, I’m aware that I could walk outside now, but you underestimate my intense dislike of the cold.) Don’t think I’m living too perfect a life, though — the to-be read pile keeps growing out of control! The SHIELD Helicarrier LEGO set is completed! It was pretty epic, and a lot of fun to build. Keep an eye out for my build report on the blog soon. 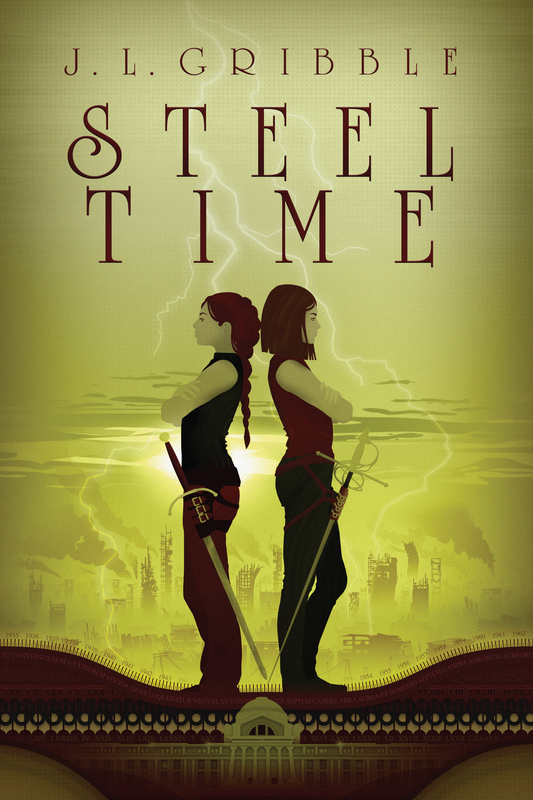 The latest round of copy-edits on book 4, Steel Time, were completed and sent off to my editor! My presentation on alternate history at the Uniontown Library as part of their 2018 Author series was a blast. It went so well that I immediately volunteered to do a modified version at a few of my upcoming conventions this summer, and one has already accepted it for programming! And finally, I’m about halfway through a book I’m proofreading for a fellow RDSP author. It’s a total blast, with a great twist on mythology, so I’ll definitely be shouting about it from the rooftops when it launches. LEGO construction at Casa Siamese requires the proper levels of hydraulic fluid. Once I finish proofreading the book I’m working on, I’ve got the first half of another to beta read! Luckily, pretty much all the authors I know are crazy-talented, so this is all more of a privilege than a chore. I’ll be meeting with my editor this month to finish up work on Steel Time and discuss the future of the series. Don’t panic! Basically, come June, will I be working on book 6, working on a series of short stories for gradual release, or both? No conventions this month, but I will be taking two trips for the day job to New York City and Arlington, VA. The topics for both are fascinating, so I’m happy that so much cool travel is part of BOTH of my jobs. A difficult life, I know. Wow, the year is flying by. So are the deadlines! Just kidding — I’m actually on pretty good track with all of my current projects. But things are only going to pick up again before they slow down. On top of everything else, my husband and I joined one of those meal delivery services in an attempt to eat healthier and learn new skills. Since my social media has already been inflicted with a bunch of food pictures, it’s only fair to spread the love here. 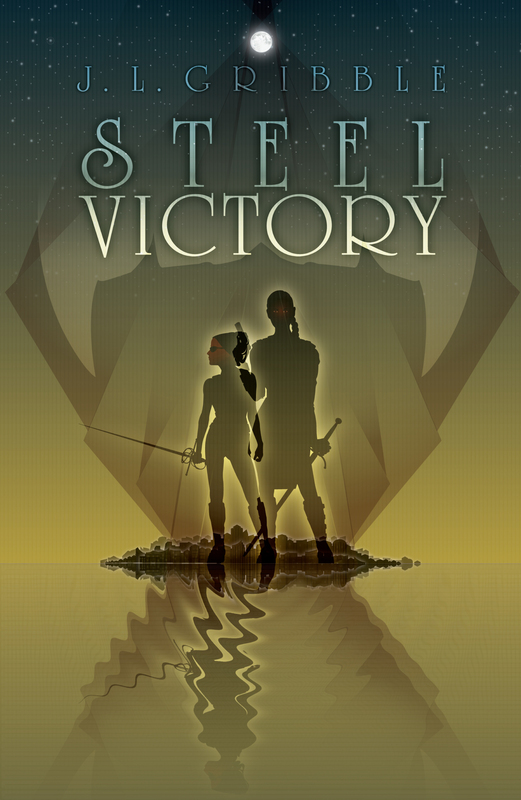 I completed my review and revisions to book 5, Steel Shadows! It took longer than I expected, until the day I tied myself to my kitchen island with a ton of tea and cranked through the last third. And off it went to the beta readers! I have a mix of readers in terms of how far they’ve read in the series so far, so I’m interested to read their final notes. I had a blast at my first Farpoint convention a few weeks ago and made some awesome new friends. You can read about my adventures and check out some cool cosplay in my Farpoint con report. Finish my current LEGO set! I’m finally working on my biggest set to date, the SHIELD Helicarrier from the Marvel Cinematic Universe. The Steel Empires work never ends. Now that book 5 is out of my hands for a few months, it’s time to do another round of proofing on book 4 and get it back to my editor. I need to put together my presentation on alternate history for the upcoming Uniontown Library Author Series. But before that, I’ll be heading to Ohio for one of my favorite annual conventions, Cleveland ConCoction! And finally, I have some beta reading of my own to do! Two projects due within the next month or so, but authors whose work I always enjoy. Definitely more of a pleasure than a chore. Wow, that was a lot of movies in February. I think I’ve got even more lined up in March, considering I already saw Red Sparrow last night (review to come over at Speculative Chic this Tuesday). 2018 is shaping up to be a hell of a year! I’ve got my convention schedule pretty firmed up (note to self: Update events page at some point). To top everything off, the husband and I scheduled a Caribbean cruise this December. Definitely something to look forward to!